Why is δεδαϊγμένον accented like this? Why doesn't it have a recessive accent, "δεδαΐγμενον"? Perfect m/p participles are always accented thus. It is their mark. Thanks. I hate accents, or rather I hate myself for not having learnt them. Or rather I hate my first Greek textbook that told me to ignore them, a habit I've found difficult to unlearn. What book was that? I've often thought that the author had the right idea. Accents were added by the Byzantines and the last time I checked "Byzantine" wasn't a compliment. Given how little consensus there is about how to speak Greek, I have always wondered if the accents were a waste of time. Indeed, if I could make them all vanish from my books for a year or two, I probably would. Paul Derouda wrote: Thanks. I hate accents, or rather I hate myself for not having learnt them. Or rather I hate my first Greek textbook that told me to ignore them, a habit I've found difficult to unlearn. Let me guess, your first Greek textbook was Wenham Elements of NT Greek. We need accents for parsing, but the rules for accentuation are not terribly significant otherwise. I play a game of trying to guess where the accent goes and which accent it will be. But I certainly don't get upset when I am wrong. My guess is based on internalization not rule-based analysis, again I am going with Randall Buth here. I don't think it's the only textbook that dispenses with the accents - at least I think there's a book on Homeric Greek book as well. But I've never seen it (nor actually the Wenham book). I'd like to know my accents. I don't think they're really that difficult, once you know the rules; I'm sure when you've assimilated the concept of accent beyond a certain point, you learn them almost automatically. When I learn a word I often mentally try to pronounce it with the pitch accent, but often I forget. I have an accent-less old e-text of Byzantine Text Form (Maj.Text) New Testament, Robinson-Pierpont which is an Accordance Module from mid 1990s. I find it distracting to have no marks what so ever. However, lack punctuation, accents, breathings, makes you confront the text with less editorial foot prints from modern scholars. On the other end of the spectrum, the UBSGNT 3rd Cor. which is my daily use NT has paragraph titles in English which I really dislike. I flip back an forth from UBSGNT 3rd Cor. and my hard copy of the Byzantine Text Form Robinson-Pierpont, which has all the breathings, accents, punctuation but no English titles and fewer paragraph breaks. Mastronarde diligently covers the rules and I think that there are about 20-40 depending on how you count. Remember, for many types of consonant declension nouns, there are particular rules. Officially, I would claim to know them all. Unofficially, ugh. By many standards, I'm a proud pedant. But Greek accents are the outer limit for me. In fact the only reason I continue to study them is that I put too much time into them already. In life, there is a widely applicable law of diminishing returns that tells one to give up at a certain point. But Greek accents seem to be an exception to that: despite the payoff becoming less and less, one often finds oneself increasing the effort one puts in--"Well, I came this far, I might as well learn the accents for this tiny set of irregular consonant declension nouns." In my bookshelf there's a 1600+ page descriptive grammar of my mother tongue Finnish. Luckily, I didn't know it was that complicated when I learnt to speak as a baby. I mean all those rules are mostly intuitive, once you get into it. I'm sure it's the same with accents. If there were more quality audio recordings with the pitch accent, the accents would be a lot easier to memorize and understand, because you would have an audiotory cue. I have the impression that beside editorial footprints, the accents carry a genuine legacy from the antiquity. I'm not exactly sure how on earth the were preserved from Homer's times to Byzantine times when they were finally systematically written down, but I've never read any serious scholar question the accents in principle (though sometimes I've seen them debating how to accent a particular word) - I've encountered that thought only in those "Learn Greek Real Easy Real Fast, and Anyway Plato Didn't Write His Accents" advocates. Paul Derouda wrote: In my bookshelf there's a 1600+ page descriptive grammar of my mother tongue Finnish. Luckily, I didn't know it was that complicated when I learnt to speak as a baby. I mean all those rules are mostly intuitive, once you get into it. I'm sure it's the same with accents. If there were more quality audio recordings with the pitch accent, the accents would be a lot easier to memorize and understand, because you would have an audiotory cue. That's why you do well in Greek. It's easy by comparison to your native language. Last edited by C. S. Bartholomew on Fri Feb 08, 2013 2:08 am, edited 1 time in total. The gen. pl. fem. nouns always have circumflex. I'll mail you a Loeb of your choice if you can find anything "intuitive" about that fact. And I'll give you a year to do so! Now maybe there is a linguist or classicist out there who has a deep diachronic understanding of matters for whom it is intuitive. So if that is what you mean by "get into it", then I rescind my offer. But if by "get into it" you mean something that applies to regular textkit posters, the offer holds. I'd love to be proven wrong by the way. As for the accents being preserved, yes it is impressive. But don't forget we don't know what the grave accent means. So something central was not preserved. Of course it's not intuitive in the way that I could make up a thumb rule to replace Mastonarde or whatever. I just meant we have mental processes that make language learning almost automatic with the right kind of exposure. The 'right kind of exposure' is the problem here, because the accents represent essentially sounds to which we are not exposed, or even sure of their exact nature (take the grave accent for instance), and thus the right connections in our brains are not activated - if we were exposed to spoken classical Greek, the accents would be the easiest part, not the almost meaningless dots we just have to learn by heart. My problem is that I've learnt to discard them unconsciously - my 'learning Greek' mental process is programmed to ignore them, rather than to pay notice to them subconsiously every time I read a Greek word. If, from the beginning, I'd had schoolmaster to hit me on the fingers with an ruler every time I make a mistake with the accents, no such thing would have happened. Who says Finnish or Greek is difficult or illogical? It depends on your point of view. Take English. The writing system is essentially pictographic: 1) when reading a word, it's impossible to know how to pronounce it, 2) when hearing a word, it's impossible to know how to write it. With Finnish and classical Greek, 1 and 2 are both almost always false, while with most other European languages (French, German, Swedish, Spanish come to mind) 1 is false but 2 is more or less true. I've never been to an English speaking country - you wouldn't believe how many words there are I have no idea how to pronounce. The reason gen. pl. fem. have circumflex is that they come from a contraction - e.g. τάων for the article. You probably know that. Nothing logical about that, I agree. You misunderstood my intent. I have been told that Finnish has a complex case system. A native speaker English in North America isn't aware of the few cases that still hang on to bits and pieces of the language. Case is a foreign concept. I didn't do well in German in High School for three reasons. I didn't get cases. The instructor was not fluent in English. Second language acquisition didn't exist as a concept back then. I don't think accents are that hard, I tend to instinctively place them thanks to modern Greek but even so I still learned the rules. 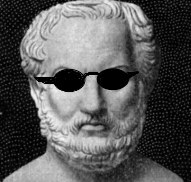 Incidentally yes the papyri of Homer preserve older features which has lead many to hypothesise that Alexandrian textual editors were working with proper rhapsodes. We also have the comparative evidence etc too, so we most certainly do know how the accent functioned. For learning: Well most people I've met seem to have had success with Mastronade's basic rule of cotonation, failing this Philomen Probert has a book out which is supposed to help. All I can say is it just needs regular practice, just be patient and spent a few minutes each day for a week or so. It becomes reflex. I think all languages have their complexities. What is difficult for someone isn't so much for somebody else. Probably a native Finnish speaker learns the Greek or German case system more easily than a native English speaker. On the other hand, Epic Greek 'tmesis' should be easier for an English speaker than a Finn, because it's a bit similar to an English phenomenon (and I suppose diachronically related to it) - I don't remember what you call these: 'write down', 'catch up with', 'put up with', etc. But all in all, I think yes, probably you're right if you say that knowing Finnish, a highly inflected language, is a better starting point than knowing English for learning Greek. On the other hand, I think there's ample evidence children learn their first language at the same speed regardless of the language, so from that point of view, all languages are equally difficult. But I think this has really more to do with the fact that I think that grammar is really only a minor part of first language acquisition - children have to give names to everything in a whole world surrounding them. I really believe some languages are easier than others - namely, languages that are spoken by a lot of people and many non-native speakers tend to get simpler with time. This is what has happened to English, especially when Great Britain was succesively invaded (more or less) by Anglo-Saxons, Vikings, the French etc., and what has also happened to Chinese, Spanish etc. But really, the same kind of smoothing has happened to any language with millions of speakers, Finnish included. If you really want to learn something difficult, take a language spoken only by a small long-isolated group of hunter-gatherers. From those hunter-gatherers' point of view, Finnish and English will be about equally difficult, or maybe English just a very tiny bit easier. Well with English (being brought by the Angles, Jutes and Saxons) I believe a massive part of the loss of cases was redundancy, in that sentence structure became fixed and thus endings became irrelevant over time. It's been a while since I've studied this. Finnish is one hell of a language, I never really managed it, one of my class-mates was a Finn (though he swapped out of Classics and went into Philosophy, alas, post graduation) and I tried to learn some but woaw was it difficult. So pretty when sang though. Scribo wrote: Well with English (being brought by the Angles, Jutes and Saxons) I believe a massive part of the loss of cases was redundancy, in that sentence structure became fixed and thus endings became irrelevant over time. It's been a while since I've studied this. I don't claim to be very knowledgeable about contact linguistics, I read book or two on the subjects several years ago. The explanation you're giving here is probably true, but I was thinking whether there's a more universal explanation for the simplification of widely spoken languages. I don't think that it's a coincidence that the world's most spoken languages English and Chinese (I don't know Chinese but so I've been told) are almost totally devoid of inflection. In the books I read the starting point was more or less creoles, i.e. extreme situations of language contact, where two different languages essentially merge. The typical situation was when slaves were taken from Africa to the New World and their children created a new language almost from scratch, essentially taking the grammar in a very simplified version from their own ('substratum'?) language and the vocabulary essentially from their masters' (adstatum?) language. But there was also an idea that a situation like this isn't completely different from the times of William the conqueror - English incorporating a lot of foreign (French) words and having its grammar simplified, in a time when the elite is speaking French. Also, think about the situation where there were a lot of speakers of Old Norse in Great Britain, with intermarriages and other kinds of intense contact (pairs like shirt/skirt come from these times, don't remember which is English and which is Norse). In those times, Old English and Old Norse were not mutually unintelligible, but finesses would not be understood. Wouldn't this kind of situation also be likely to simplify the grammar? Modern Greek has a case system and so has Finnish. But they are not spoken by a billion people, only a few million and only in geographically restricted areas. But both have undergone quite a lot of grammatical simplification compared to the situation a couple of millenia back; for example, both have lost the dual. Well, it's a bit different. But not so much, having been surrounded by speakers of Indo-European languages for millenia. We don't have ergatives or any really weird stuff! Bah it's easy to say that as a native speaker, sure, but it does have its difficulties and I will have to invest time appropriately for it. Well skirt, shirt, shorts etc all come from the same ProtoGer root *skurt- (ijon?) and were just developed differently, shirt (scyrte) is our own English vs Norse skirt and either Dutch or Danish, one of the D-ones, shorts. I remember this example, ha. Well yes I mean said mutual intelligibility was responsible for English's resultant fixed sentence structure, I just don't remember how. But again I guess it was more the redundancy of the cases after the fact that caused their loss rather than the fact of cases being intrinsically difficult. Especially when you have large groups of people speaking inflected, even related, languages. With Creoles and Pidgins I'm not sure since my main study in this area has been on ancient languages (principally Greek but also Sanskrit and Latin) so more on influence than the creation of new tongues, I'm not really modern enough to cover that. I'm still struggling exactly with how I see language simplification occurring....I can't help but feel the way we look at it is too....determined by our odd Victorian grammars and not enough by more modern findings. I don't know, I'll have to look into it more. Scribo wrote: I'm still struggling exactly with how I see language simplification occurring....I can't help but feel the way we look at it is too....determined by our odd Victorian grammars and not enough by more modern findings. I don't know, I'll have to look into it more. Could you expand a little bit on that Scribo? A few sentences on what you mean by "Victorian grammars" and their approach, because you got me really interested. a) Our Victorian inherited notion that languages decrepify in some manner, that is to say they worsen and simplification is evidence of this. I think we tend to take a more Darwinian approach - that is to say that languages don't so much worse as adapt to the ever moving bar of "fitness". With connotations of improvement either. b) That language simplification is the result of inability and that this inability is the result of "lesser races" taking over the language. We may have lost the notion behind the second idea, but some implications still remain. There is no reason to assume a modern Greek souvlajis is less able to speak his language than Sokrates harassing poor innocent citizens. I guess I see a more ambivalent relationship rather than just increasing easiness. I mean I don't think the modern Greek verb stem system is very much easier than the old system and in fact can occasionally be awkward to use, whereas no one could fail to slip in a /s/ for the future tense in centuries gone by. I mean these are perhaps over flighty examples, but I guess this is another discussion far beyond "ought one to learn Greek accentuation?" (to which the answer is, still, yes!). It's astounding that one of the greatest Greek scholars of the 20th century was capable of such an idiotic statement in 1953. I would hazard that there's a tendency that a language's grammar becomes more complex (or irregular) with isolation and less so with intense contact with other languages. (Only the latter languages tend to be taught at school.) But of course I recognize there must be a huge number of other phenomena going on. And any notion that a language or a diachronic state of a language is degenerate compared to another must be firmly rejected. And I also think learning the accents is a good idea! Parataxis is the rule in the speech of children, primitive men, unlettered men and also of Homer. I guess I'm in good company. ‘The greater aptness of the Amazons [at learning the others’ language] is a delightful touch; but they were inaccurate (cf. σολοικίζοντες), as lady linguists often are.’ How & Wells on Herodotos. I'm probably going to regret wading back into this thread. But you guys seem to be having so much fun, I can't resist. I have blissfully spent my life entirely agnostic on the subject of the dual. So I just want to ask a naive question: Why is Chantraine's statement idiotic? It's a causal statement, so there aren't that many ways it can go wrong. There are a few more ways, but those would take us into matters of metaphysics, which I take it isn't where Chantraine's alleged error is supposed to have occurred. Maybe it was the uttering rather than the content? h) The statement is quite true, but it is very bad manners to say it out loud. Some people are quite touchy about still using the dual. So Paul, which kind of idiocy were you thinking of? I'm assuming this wasn't a rhetorical question. I can sense some kind of a Socratic trap here - whatever I answer, you'll force me into admitting that the dual does, indeed, disappear as a society develops intellectually! I was thinking mainly along the lines of b, e, f.
Strictly speaking, Chantraine isn't positing a causal relation, though his statement can be read as implying one. You're no fun! I guess we have at least learned why Socrates didn't give multiple choice questions! But then he never had to deal with the slow pace of internet forums. Next time, I'll be more patient! But it is probably better this way. I have more important things to do anyway! Forced to read Plato in my first year, the only thing I really learnt was how badly I'd like to give Sokratis a slap across his fat face. Admittedly striking a citizen could count as hybris, but still. He didn't seem very nice, have you seen him lecturing the fat guy in Xenophon Memorabilia? 3.12 I think. I think his depiction in Aristoph. Clouds is probably the only time I can endure him. Scribo wrote: He didn't seem very nice, have you seen him lecturing the fat guy in Xenophon Memorabilia? 3.12 I think. Seems perfectly reasonable to me. The fat guy is certainly a teenager. I'm glad Socrates said what he said to set him straight. I'd hate to spend my life in slavery, have my children killed, and see my wife carried off as booty, all because one of my fellow soldiers was too fat to carry out his duty! Another accent anomaly: ἱστάντες. One would expect a circumflex. Any thoughts about that Paul? I know you find these things interesting. pster wrote: Another accent anomaly: ἱστάντες. One would expect a circumflex. Any thoughts about that Paul? I know you find these things interesting. Just noticed this thread is still alive... I have no idea. You tell me! Maybe this form doesn't come from a contraction? Why would anyone expect circumflex? of present (and imperfect) indicative, and imperative active. The participle has only long alpha in the nominative, and then only because ν was dropped before ς.
Verbs have recessive accents, except some of the most common ones. So ἱστάντες, having the ultima short and the penultima long, should either have an acute accent on the antepenultima (*ἵσταντες) or a circumflex on the penultima (ἱστᾶντες). Circumflexes arise usually from contraction, when the first syllable originally had an acute (e.g. ἱστά-ασι -> ἱστᾶσι). I can't explain this. Probably this exception is related to this being a very common verb. NateD26 wrote: The participle has only long alpha in the nominative, and then only because ν was dropped before ς. Why isn't the accent on the i then if sta is short? Something to do with the stem being monosyllable (ἰ is the remnant of reduplication σι-). The hour is late here. I'll have more tomorrow. Yes, you are right. But also the dative plural. Paul Derouda wrote: Verbs have recessive accents, except some of the most common ones. So ἱστάντες, having the ultima short and the penultima long, should either have an acute accent on the antepenultima (*ἵσταντες) or a circumflex on the penultima (ἱστᾶντες). Circumflexes arise usually from contraction, when the first syllable originally had an acute (e.g. ἱστά-ασι -> ἱστᾶσι). Participles are adjectives, and thus like nouns have persistent accents, not recessive ones. Nate is probably on the right track. But if this is a monosyllable, what is in the aorist στάντες? A zero syllable?? and retains its initial accent throught its declension -- would be my guess for the accent peculiarity here. as the iota is accented in the indicative. I'm mostly enjoying annoying poor Paul. I don't lose sleep over accents anymore. I'm glad somebody here does! But isn't the alpha not part of the stem? I don't know, but it seems to me as though the aorist stem doesn't have a vowel in it. Compare with the first aorist pariticples. There the rule is that the accent goes on the last vowel of the stem. But these accents go to the right of those. So they can't be on the stem at all.